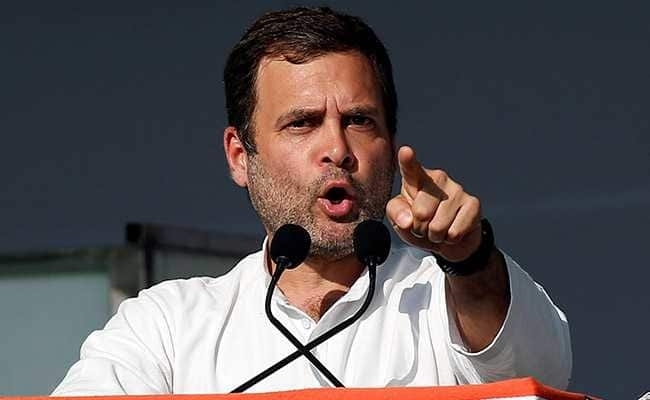 Talking about farm crisis in the country, Rahul Gandhi said that within days of winning elections in Madhya Pradesh, Chhattisgarh and Rajasthan Congress CMs waived of farm loans. Modi had promised two crore jobs to youth, Rs 15 lakh in every account, but nothing has happened. Talking about Uttarakhand, Rahul said that the informal sector suffered the most in demonetization and the women of the state faced the most losses. Rahul Gandhi says will transform GST after coming to power: Rahul Gandhi said that he will transform the 'Gabbar Singh Tax' into its true form of single form GST. Rahul Gandhi apologises to people of Uttarakhand for PM Modi's demonetization. Rahul Gandhi promises Guaranteed Minimum Income to every Indian: Congress has decided, in 2019 we will provide assistance to the poor of the nation. Rahul Gandhi says that Guaranteed Minimum Income will be provided to every Indian citizen. Narendra Modi has nothing for farmers and youth in the last five years. Their money is being sent to the pockets of Anil Ambani. Rahul Gandhi promises food processing units for Uttarakhand farmers: Rahul Gandhi promises food processing factories close to the fields of the farmer in Uttarakhand. He says that the BJP wants to create two India one of the rich another of the poor, adding, "We will not let that happen."